Simple and elegant, this staff serves as the primary weapon for most of the renowned mystics and monks in existence. Primary for defensive use, with the proper skill it becomes a devastating weapon of great offensive capability. With its extended reach the wielder becomes an extremely dangerous foe and an adversary worthy of great respect. 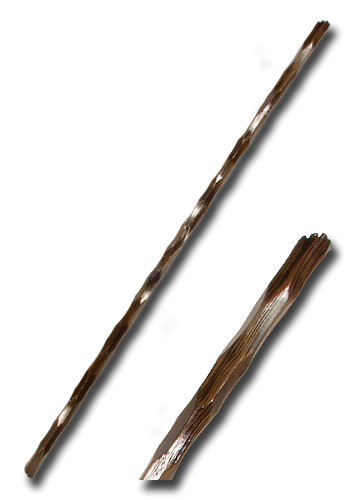 This is a shorter version of the Wooden Quarterstaff, which is 71" or 180 cm in length. The specified length of the Larp weapon indicates the total length and may slightly differ. The color of the wood look my vary between light brown (20%), brown (50%), and dark brown (20%).